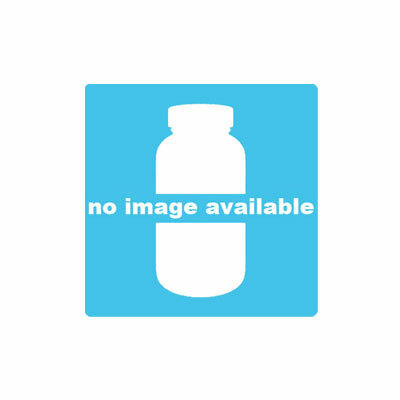 Atarax Injection (Hydroxyzine HCL) is prescribed to treat anxiety and tension in patients affected by certain mental conditions such as dementia or anxiety. It may also be used to treat alcohol withdrawal symptoms, and it is sometimes given either before or after surgery to reduce nausea and other symptoms. 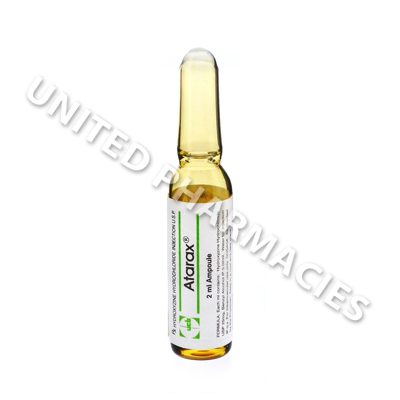 Atarax Injection (Hydroxyzine HCL) is prescribed to treat anxiety and tension in patients affected by certain mental conditions such as dementia or anxiety. It may also be used to treat alcohol withdrawal symptoms, and it is sometimes given either before or after surgery to reduce nausea and other symptoms. In addition to this, doctors may use it together with other painkillers, to enhance their effect. The main ingredient in this medicine helps to treat mental conditions by acting on the brain, and affecting acetylcholine and serotonin. It also inhibits the action of histamine (a natural chemical in the body which can cause allergy symptoms). Because of this, it may be considered useful for the treatment of atopic dermatitis (eczema), chronic urticaria, pruritis and other similar conditions. Atarax Injection (Hydroxyzine HCL) will be administered by a doctor or medical professional in a hospital, and the dosage required will be the responsibility of the medical practitioner providing the treatment. Patients given this medication for the treatment of pain or nausea caused by surgery are sometimes given a dose ranging from 25mg to 100mg either before or after surgery has taken place. The dosage for sedation, pruritis, anxiety or other conditions may be different, and in all cases, the instructions of the doctor must be followed. Inform the doctor treating you of any side effects that occur. If you experience any serious reactions (such as uncontrollable shaking, seizures or confusion) you will need medical care straight away. You may be told not to drink alcohol while taking this medicine. It is necessary to inform the doctor treating you if you are currently affected by or have ever suffered from any diseases affecting the heart or liver, urination problems, asthma, glaucoma, ulcers, hypertension, seizures or an overactive thyroid. Always use Atarax Injection (Hydroxyzine HCL) as you have been prescribed by your doctor. Never self-medicate or change your dosage without first consulting your doctor. The correct dosage can vary depending on your health, medical history, and the severity of the condition being treated.